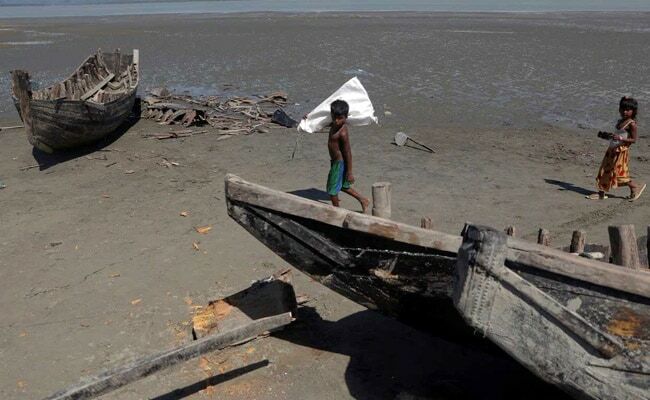 SHAH PORIR DWIP, BANGLADESH: Bangladeshi authorities have destroyed about 20 boats that ferried Rohingya Muslims fleeing violence in Myanmar, accusing smugglers of using the huge exodus to bring methamphetamine into the country. Refugees told Reuters that border guards also beat and arrested passengers and crew as they landed at Shah Porir Dwip, on the southern tip of Bangladesh on Tuesday night, before the vessels were smashed to pieces by locals. The local commander of Border Guards Bangladesh (BGB), Lieutenant Colonel Ariful Islam, denied there were beatings, and said the action was a crackdown on human trafficking and the smuggling of methamphetamine, a drug known locally as "ya ba". "The boats are trying to carry passengers they are not supposed to," he told Reuters. He accused the organisers of the boat journeys of exploiting destitute Rohingyas by charging them for the short trip to Bangladesh. Some passengers told Reuters they had paid 10,000 Bangladeshi taka ($123) each for the trip, although others said they travelled free. More than half a million Rohingya Muslims have arrived in Bangladesh from predominantly Buddhist Myanmar since its armed forces responded to attacks by militants on Aug. 25 with a counteroffensive described by United Nations officials as "ethnic cleansing". While four passengers told Reuters they saw no drugs on board, Lieutenant Colonel Islam said border guards had found a large quantity of the drugs in the water on Tuesday night. "Maybe the carrier had dropped it before disembarking," he said. At a teeming processing centre in nearby Teknaf, Ibrahim Holil, from the village of Maungdaw Moknibara in Myanmar's Rakhine State, described on Wednesday how he said he was hit with a stick by a border guard as he helped his relatives disembark from their boat. "There is nothing in this boat. Only our belongings," he said. Farous Ahmad, 65, said his two sons - Sura Ahammed and Dildar Ahammed - were arrested soon after they landed. He said they had worked as crew on the trip because they had no money to pay the fare. "They also beat me everywhere. I do not know where my sons are," he told Reuters. "I don't know why the BGB arrested my sons. People told me the BGB would shelter us in Bangladesh but yet they arrested them and also we had to spend the whole night sitting." Asked about the allegations of beatings, Lieutenant Colonel Islam said: "It is never possible. 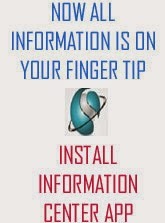 Please check your source and motive." Reuters reporters saw the remnants of the smashed boats. Nearby was a pile of sledgehammers and machetes. A local fisherman, Robi Alam, said the BGB had given local people money to destroy the boats. Bangladeshi authorities said last month they would crack down on fisherman charging Rohingya for ferrying them to safety, which they described as human trafficking. Thousands of people continue to cross land and sea borders daily to reach Bangladesh, putting great strain on one of the poorest regions of a poor country. One refugee, who asked not to be identified, said his relatives were among 6,000 people waiting in Myanmar to cross to Bangladesh by boat on Wednesday night. He said news of the destruction of the boats and the arrests on Tuesday night had spread and he was concerned the owners of other vessels would be deterred from making the trip. Including the latest influx, about 1 million Rohingya, who were mostly stripped of their citizenship by a 1982 law passed by the military junta that then ruled Myanmar, now live in Bangladesh after fleeing periodic outbreaks of violence. Resentment against the stateless group has brewed for years in Bangladesh, where authorities have linked them to a surge in methamphetamine use. Seizures of the drug jumped more than 2,500 percent to 29.4 million pills between 2011 and 2016 and police and government officials say the Rohingya refugees, who cannot easily be traced, are the traffickers' preferred mules. The authorities have cited a growing drug problem as one reason for pushing ahead with a controversial scheme to move thousands of refugees from their border camps to an undeveloped island in the Bay of Bengal. Myanmar and Bangladesh are also discussing a framework for returning the Rohingyas to Myanmar. The two countries agreed on Monday to work on a repatriation plan, and a Myanmar government spokesman confirmed it would go along with it, provided people could verify their status with paperwork.